In this post, I’ll tell you everything you need to know about the Edinburgh prices and show you how expensive is the capital of Scotland. So is Edinburgh expensive at all? You will find it out in a few minutes. Is Scotland expensive? Well, it is and it isn’t. Depending on where you live. For American standards it probably isn’t, however, if you’re from Eastern Europe or Baltics, Scotland might seem quite expensive. In case, you’re lazy to calculate the cost of a trip to Scotland (or cost of a trip to Edinburgh), just download our brand new free iOS App, Tripsget, and it will tell you how much you will need based on your own preferences. Check this post about Tripsget Trip Cost Calculator to learn more about the app. Anyway, let’s continue with the Edinburgh prices in this post. I’m sure you would like to know: is Edinburgh expensive to visit or not? However, let’s start with the transport prices in Scotland. Transport is quite expensive in Edinburgh. Why is Edinburgh so expensive? Well, it’s a very touristy city and it’s the UK, after all. Pretty much all the cities in the UK are quite expensive. One bus ride in Edinburgh costs £1.6, exactly the same as a tram ride, but if you want to buy a day ticket, it will cost you £4 (a bargain, if you plan to travel a lot). A bus to the airport (Airlink) would cost you £4.5 one way and the tram to the airport is £5.5 one way. Taxis are quite expensive, but the city is small, so even the taxi to the airport won’t be more expensive than £30-35. If you’re planning to take a black cab within the city borders, prepare to pay from £6 to 11 pounds on average. Uber also operates in Edinburgh, but it’s pretty rare and if somebody agrees to your request, you will wait for the car for about 10-15 minutes. And the price difference would be 2-5 pounds. 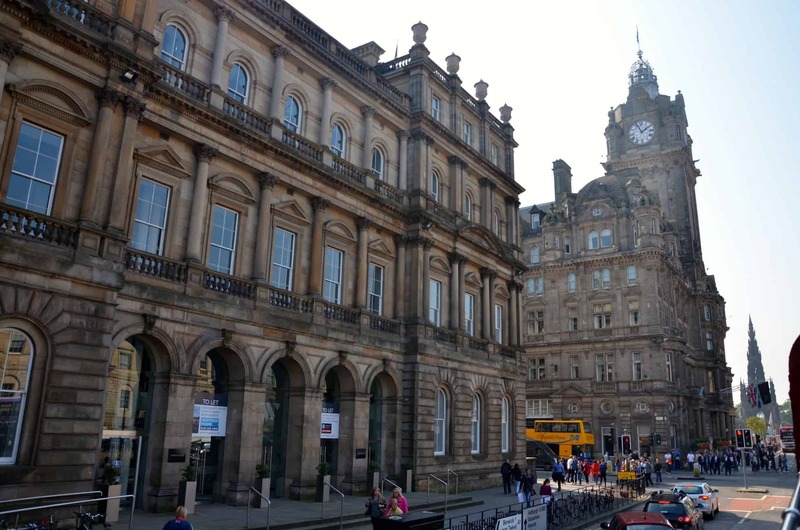 Edinburgh has plenty of hotels to offer for any budget, but everybody agrees, that in general, prices for the accommodation in Edinburgh are far from being cheap. Check this post about the best AFFORDABLE hotels in Edinburgh, in case you’re looking for a place to stay. The prices, however, vary a lot during the high season (April to October, December) and the low season. There are also Airbnb and various holiday lets. The prices are usually ranging from £400 for a week or £1500 for a month, however, during the Edinburgh Festivals the prices just rocket. Looking for great affordable hotels in Edinburgh? Check my list of absolutely amazing affordable hotels in Edinburgh, as well as the list of best hostels in Edinburgh City centre. If you’re looking for a long-term let in Edinburgh, this post about renting a flat in Edinburgh can help you. The food prices in the supermarkets across the UK are pretty much the same, however, the prices in the restaurants vary a lot. Edinburgh is not precisely the cheapest destination, so prepare to pay at least £12-15 for a lunch in a restaurant and around £15-30 for a dinner in a very nice place. So well, food prices in Edinburgh are quite high. You can head to the Edinburgh University zone for cheaper places, where you can have a burger for 4-5 pounds and a delicious Pad Thai in Caravan for as low as 6-7 pounds! Also, if you’re looking for great deals, head to any of the Weatherspoon pubs (The Standing Order and the Coley Picturehouse are the most impressive ones), where you can get a meal plus a drink for as low as 7 pounds! Food prices in the supermarkets are pretty much the same as everywhere else in the UK. A bottle of water would cost you around £0.70, a sandwich would be anything from £1.4 to £3.5 pounds and a microwave meal would cost you from £2.5 to £5 pounds. Going out in Edinburgh is pretty expensive, especially if you drink a lot. That’s why most of the people go to Teviot’s Library Bar to drink. It’s a bar of the Edinburgh university and the prices there are way cheaper than anywhere else. A beer would cost you around £3.5 for a pint depending on the beer type. Guinness is always more expensive, for example. However, in a nice pub in the city centre, a pint would cost you £4.5 to £6 pounds and a cocktail – around £7-10. The prices for the main attractions in Edinburgh are not low at all. 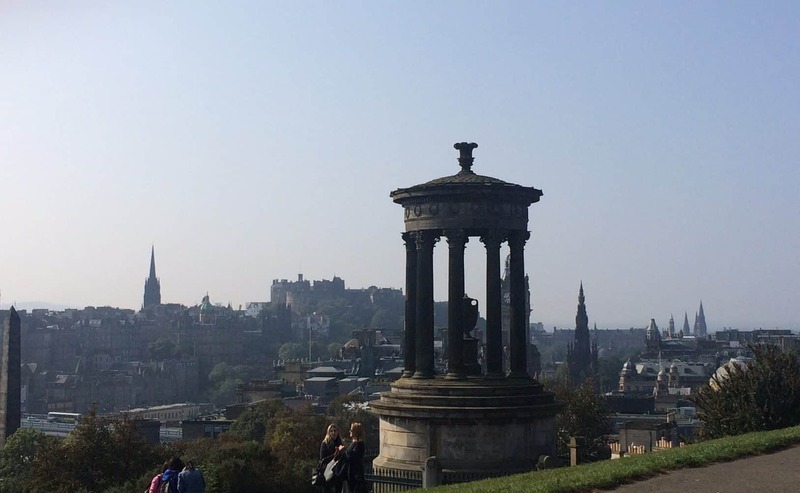 In case, you’re interested which of the attractions are worth visiting and which aren’t, head to this post: we visited all the attraction in Edinburgh and created this list, so you don’t waste your money. You can also buy one of the passes, e.g. this one from VisitBritain, to save on the attractions if you’re planning to visit many of them during your visit. Found the attractions really expensive? Check these absolutely amazing FREE attractions in Edinburgh. Finally, if you’re looking for tours and day trips to take from Edinburgh, e.g. Loch Ness or Highlands, look no further than this post about best day trips from Edinburgh, Scotland that we absolutely LOVED! I hope this info was helpful for you! You can check everything yourself using our new Tripsget Trip Cost Calculator App – download it using this link for free (or just find it in the App store). In case you have any questions, don’t hesitate to drop us an email or comment below. Check our ultimate guide to Edinburgh, Scotland and don’t forget to share this post about Edinburgh prices on Social Media. I hope you found the answers to your questions: is Edinburgh expensive or is Scotland expensive.